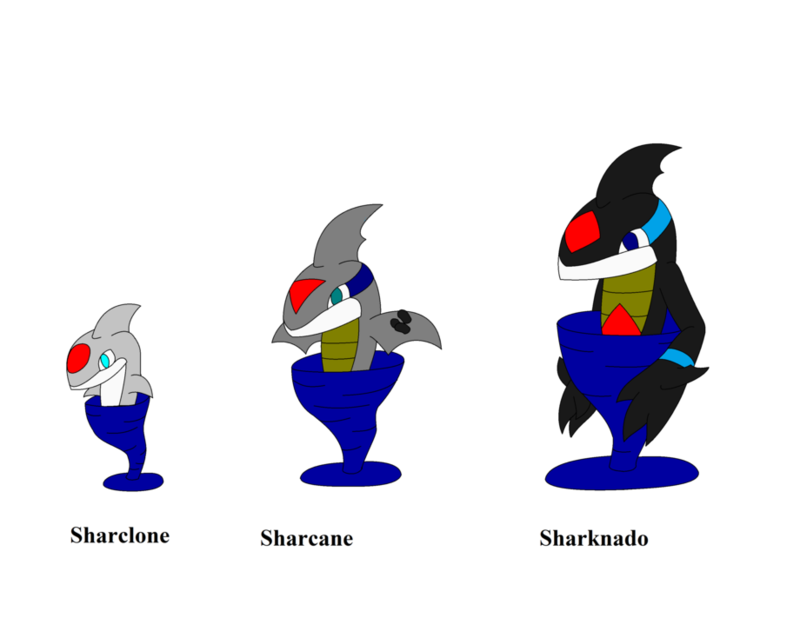 I thought it would be fun to make fakemon based on the very cheesy yet highly popular movie, Sharknado. however for each stage there's only 1 shark in the vortex of water that his created by the shark. they create these vortex water bending, yes I am well aware that is a different series entirely, but how would you explain sharks that sit in a micro vortex of water. anyway they use the twisters to come up on land.